Two Yorkshire weeklies are to be closed down by publisher Johnston Press. 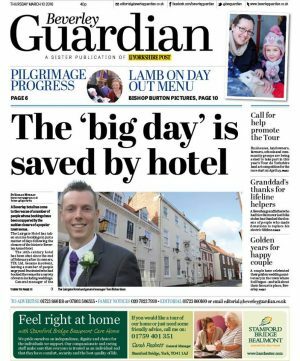 The last editions of the Beverley Guardian and Driffield Times & Post will be published on September 15th, while the Malton & Pickering Mercury will become an edition of the Scarborough News. An as-yet-unnamed new free monthly title covering Bridlington, Scarborough, Driffield, Beverley and Filey will be launched by the publisher on September 5th on 5 September to “allow advertisers greater exposure across a larger audience” across North and East Yorkshire. The changes, which will not result in any job losses, will see the Mercury retain its masthead and several change pages of local news and sport. The company said in a statement: “Earlier this year we announced a review of our portfolio, which looked to ensure our titles are serving their communities effectively and profitably. “Making sure our newsrooms are properly structured in order to maintain and grow audiences has also been a key priority as we continue to transform the business whilst managing commercial challenges. “Certain brands within the portfolio have a better opportunity to succeed and we need to invest in and resource these brands accordingly. Jeremy Clifford, JP editor-In-chief, added: “Our approach is to give our titles the best chance of showing consistent growth in audience numbers while taking into account factors such as their size, location and the local economic climate. Some titles will be better placed than others to do this and these are the ones we need to focus on. The Times & Post, created after a merger of the Driffield Times and Driffield Post in 2011, had been listed as a “core” title in a list published by Johnston Press earlier this year.